Niki Fretwell: A Royal Discovery!! Hiding beneath the wedding couple was a beautiful photograph of Queen Alexandra in the most stunning dress! 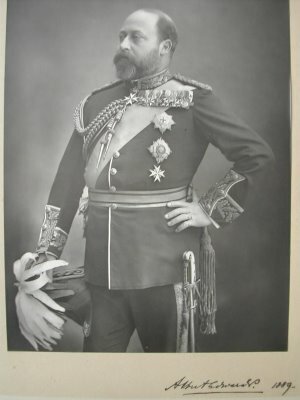 - Behind the backing board of the second frame was a photograph of King Edward VII. 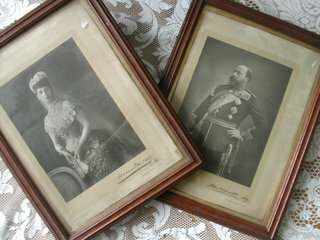 They are both signed and dated 1889 and were printed by 'Walery' Photographer to the Queen, 164, Regents Street, London. 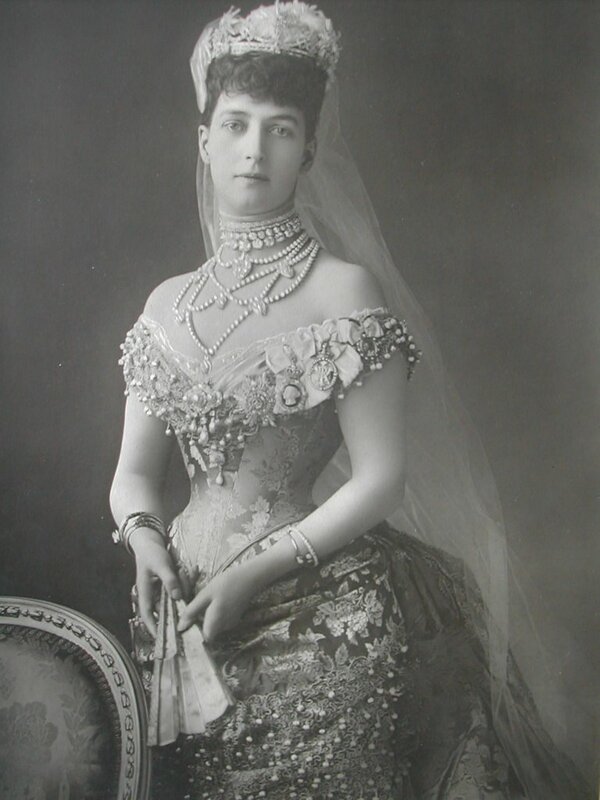 I love the one of Queen Alexandra- her costume is fantastic the detail is incredible and her waist so tiny! Oh lucky you! 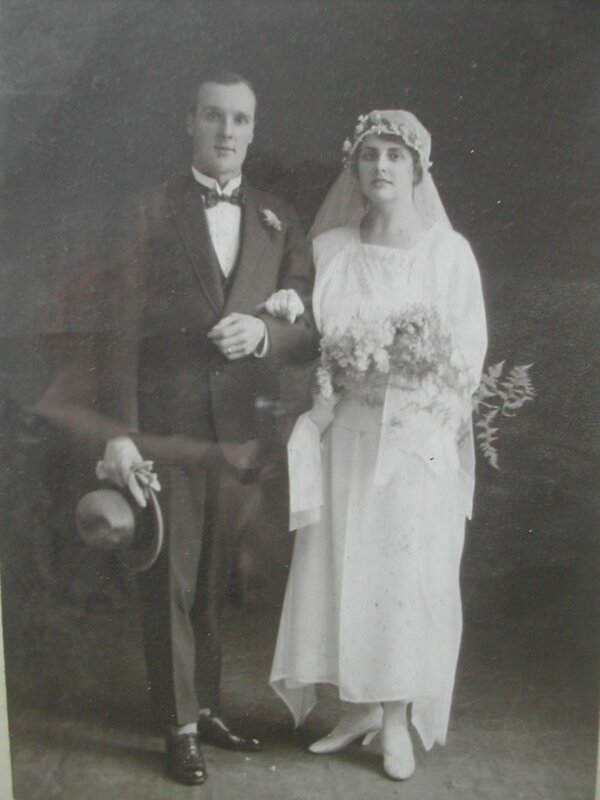 but as an avid collector of vintage wedding pics,my personal preference is of the bride and groom! but what an amazing discovery! the vintage wedding photo's are lovely and then those wonderful photo's of Queen Alexandra and King Edward hiding beneath them. 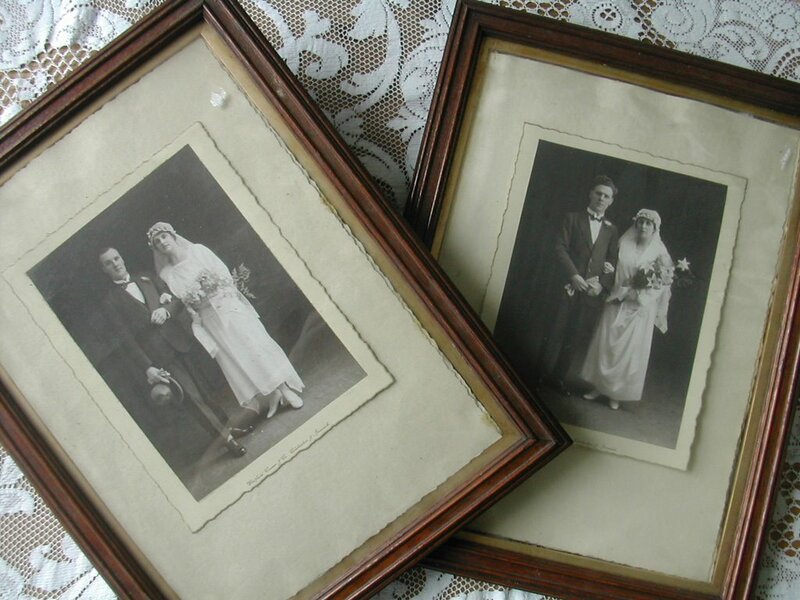 I guess they will look great in your workroom. Hi! I just found your blog. I like the pictures of your home very much - beautiful! Regards from Norway..